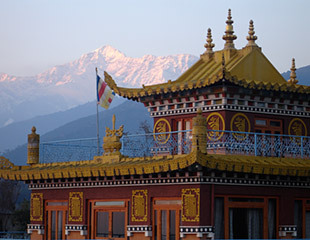 In March 2009, more than fifty of the world’s leading Tibetan–English translators, Buddhist scholars, and lamas met in Bir, India, to work out a plan for translating the Tibetan Buddhist canon. 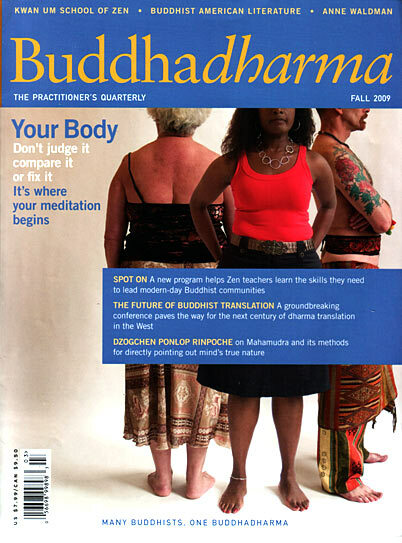 In this article originally published in the Fall 2009 issue of Buddhadharma: The Practitioner’s Quarterly, Peter Aronson reports on the conference and how it promises to shape the future of Dharma translation in the West. I was just about to get up from the breakfast table and introduce myself to Dzongsar Khyentse Rinpoche when Robert Thurman bounded up and intercepted him. Thurman was talking enthusiastically about some project, but I couldn’t catch the details. Thurman later told me what he’d been saying: Now that he’s semi-retired from his post as chair of Buddhist studies at Columbia University, he plans to devote the coming years to translating into English the 100,000-stanza Perfection of Wisdom Sutra. Most of us have read the Heart Sutra, which is a concise summary, but have never seen the full version. As anglophone Tibetan Buddhists, we hear so much about what the Buddha taught, but often don’t get to read the teachings themselves. Why? One reason is that Tibetans, unlike those in most other Buddhist nations, tend not to emphasize the sutras. They prefer to rely on summaries, commentaries, and treatises by the great Indian teachers and Tibetan lineage lamas. The more important reason, though, is that the sutras remain largely untranslated into English. Dzogchen Ponlop Rinpoche, chair of the conference and founder and director of Nalandabodhi, said that without those sutras, the migration of Buddhism to the West is incomplete. “We’re trying to establish a Western Buddhism lineage,” he said. “But without the original words of the Buddha, how can we claim to be a Western Buddhist order?” He was referring primarily to the collection of texts known in Tibetan as the Kangyur—more than 500 sutras and (in most editions) 1,100 tantras, most of which were translated from Sanskrit. “We can have lots of lamas teaching, and Zen roshis and Theravadin monks, but these are all secondary,” he said. The conference was organized by Dzongsar Khyentse Rinpoche and sponsored by his foundation. Dzongsar Khyentse—also known as filmmaker Khyentse Norbu, director of The Cup and Travellers and Magicians—is a lama from Bhutan who was recognized at age seven as the incarnation of Jamyang Khyentse Wangmo, a founder of the Rimé school of Tibetan Buddhism. to be a Western Buddhist order?’ The most ambitious aim of the conference was to lay the groundwork for translating the entire Kangyur. “When I learned that Dzogchen Ponlop Rinpoche wanted to translate the Kangyur into English, I was very encouraged,” Dzongsar Khyentse said in his opening remarks, adding, “It’s a massive task.” He stressed that although “it’s not the sole purpose of this conference,” it is a critical need that can no longer be ignored. So these leaders in the field of Tibetan Buddhist translation met to hash out how to accomplish the task of translating the complete collection. In the end, they would draft ambitious plans for the next five, twenty-five, and one hundred years that go beyond even the translation of the Kangyur. How much English is too much? First, though, the group spent a lot of time tackling nitty-gritty questions that translators have been wrestling with for years. One key issue was how much of the Buddhist terminology should be translated into English, and how much can be left in the original language. In one heated discussion, the translators debated whether they’d be short-changing anglophones by leaving in too many foreign words, particularly from Sanskrit.